I am and always have been a food separatist. I'm not an extreme separatist, mind you. I don't dislike turkey mixed with stuffing mixed with gravy or anything like that. But cheese mixed with caramel is a little weird to me. I thought I got that "food separatist" terminology from Seinfeld or some other popular TV show, but when I Googled the phrase, all that came up were obscure blog posts about picky eaters and recent news articles about the Ukrainian separatists that just happened to contain the word "food" for one reason or another. 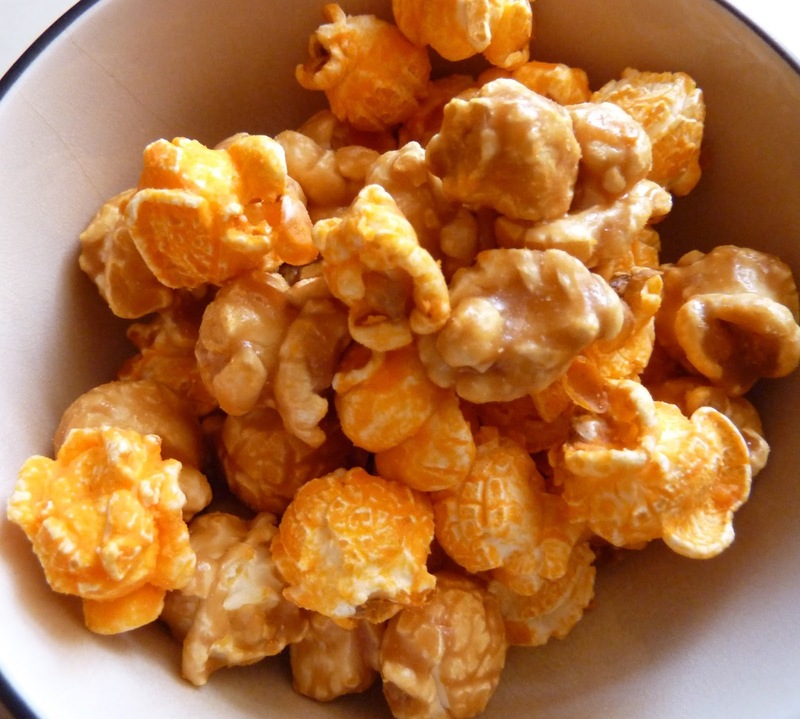 I like caramel corn, and cheddar popcorn is okay, but I'm not thrilled at the idea of eating them together. The bag says it's the perfect combo of salty and sweet. If you could just take yummy sweet things and mix them up with yummy salty things all willy nilly like that, then why doesn't Trader Joe's sell Cookie Butter Ice Cream and Curried Chicken Salad together in one tub? You remember those giant tins of plain popcorn, cheese popcorn, and caramel corn that you'd get from Aunt Edna at Christmas time? They had little paper dividers in between the flavors. There was a reason for those dividers. Food separation. It wasn't a big deal if you ate plain with cheese or even caramel with plain. But the one thing you always had to be careful to avoid was mixing the caramel with the cheese. Now I'm sure many of you will chime in and be like "I've always eaten cheese popcorn with caramel corn..." Well, good for you. Maybe you're just a bit more open-minded than I am when it comes to mixing races of popcorn together. I may be a little old-fashioned in that way. But to put them together in one bag with no dividers on purpose? 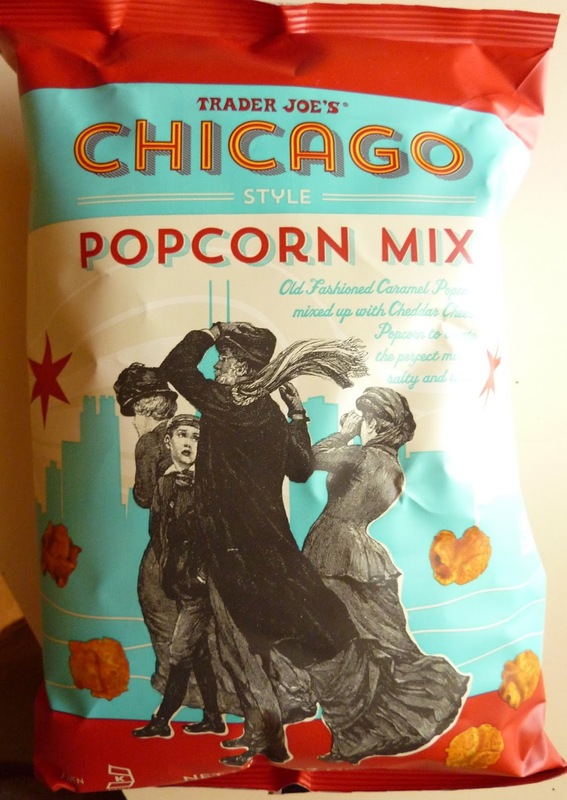 As someone from Chicago, this popcorn in my opinion is up there with the famous Garrett's popcorn, just less greasy. I highly recommend this. I am from central illinois, and I wholeheartedly agree with you! I completely agree these are just like Chicago's famous and overly expensive Garrett's popcorn but better because they don't go stale and aren't as greasy as a Garrett's. I love these. Garrett's is iconic in Chicago. I am looking forward to trying this, it looks delicious! and then immediately went back to eating them separately. You mix your steak with cheese??? Are you crazy, man??!?!?!?! ?